This story is featured in the August 2016 issue of Southwest Art magazine. 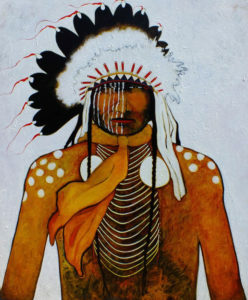 Whether his portraits depict warriors, healers, or dancers, Montana-based artist Kevin Red Star is renowned for bringing the Crow Indian people to life in bold, colorful paintings. 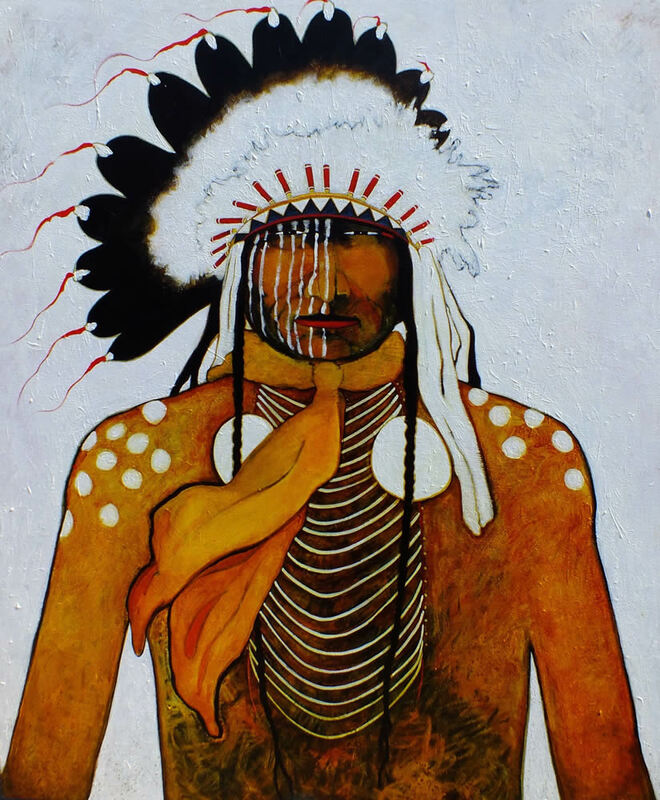 Red Star’s signature works present a fresh, contemporary approach to traditional Native American art, often mixing realism with elements of abstraction. This month Sorrel Sky Gallery features 20 new works by the artist in a show that opens with a reception on Friday, August 5, from 5 to 7:30 p.m. Red Star is also one of the gallery’s featured artists during Santa Fe Indian Market.